PC patch aims to fix technical issues. When Marvel Ultimate Alliance and its sequel MUA 2 were ported to PC last week, James described both as “overpriced and overcooked” and that the inclusion of “bugs and dated mechanics” couldn’t justify their lofty price tags. Bill Rosemann, the creative director at Marvel Games—“your man at Marvel”—took to Twitter thereafter to assure players a fix was in the works. Activision has now broken its silence by deploying a PC patch, and by promising free DLC available in the “coming weeks”. 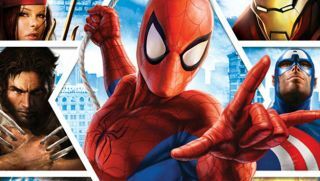 "Both the standalone and bundled versions of Marvel Ultimate Alliance 2 feature all of its original DLC,” reads a statement from Activision. “We are still working on making the DLC for the first Marvel Ultimate Alliance available in the coming weeks as a free update for everyone who has purchased the title on these platforms alone or as part of the bundle. "We're focused on identifying and fixing the issues that have been occurring. Thank you for your continued patience as we address these issues." Furthermore, a PC patch aims to address technical issues. Controller mapping, for example, has been improved to address Xbox One and Xbox 360 game pads, as well as a common preexisting problem with A button input. The UI has been updated, and fixes for desync and disconnection when playing online have been made. Marvel Ultimate Alliance player invitations have also been tweaked, and “general improvements to audio and fixes for the crackling sounds” have also been applied. These issues should have been addressed before launch—particularly given both games cost £31.99/$39.99 each—but a fix is welcomed nevertheless. Check back for more information on the free DLC in the next few weeks.